We will be cheering on the UO women’s basketball team as they compete in this weekend’s NCAA Division I Championship. 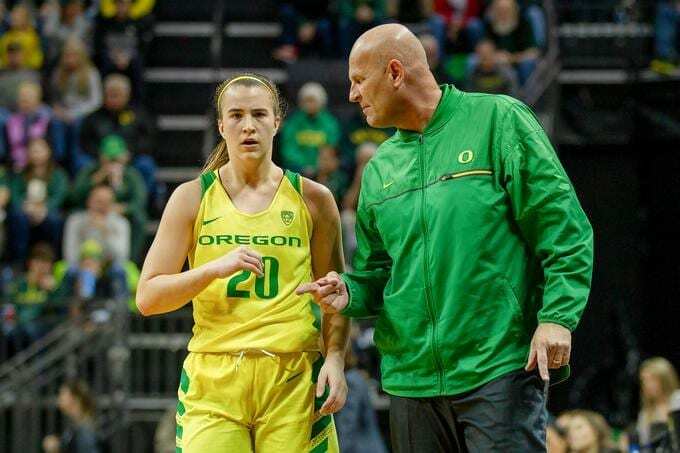 Led by record-setting junior Sabrina Ionescu, the team reached the Final Four for the first time in the program’s history. 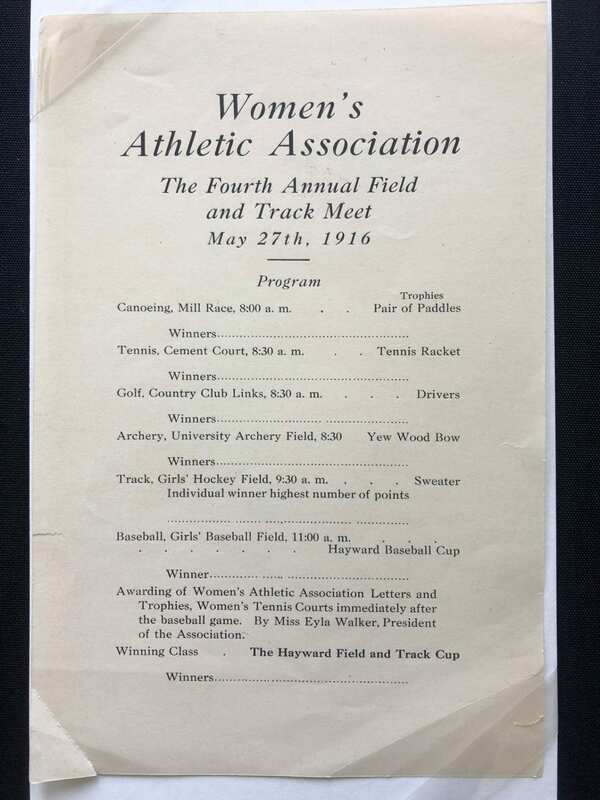 Read more about this historic accomplishment in a recent article on Around the O. 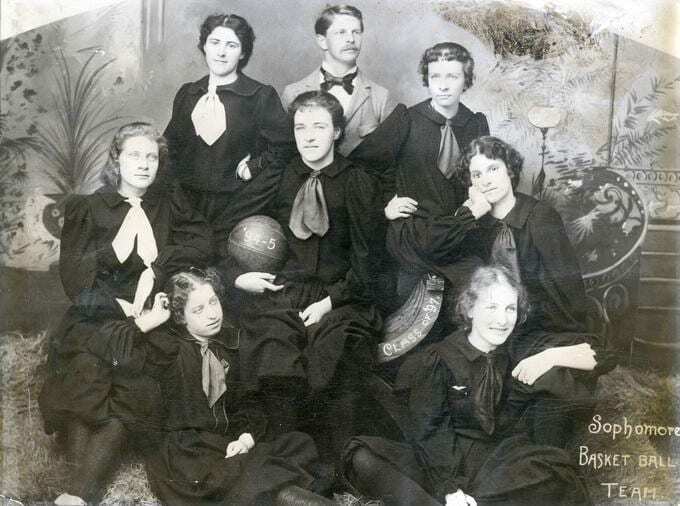 The history of UO women’s basketball extends back to the 1894-1895 school year, when students competed infrequently on interclass teams. We proudly celebrate the recent accomplishments of the UO women’s track and field team winning third place, winning 1st place in the distance medley relay, and winning the 3,000m individual title at the 2019 NCAA Division I Indoor Track and Field Championships. 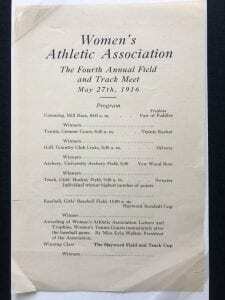 Women participated in intramural, interclass and intercollegiate contests. 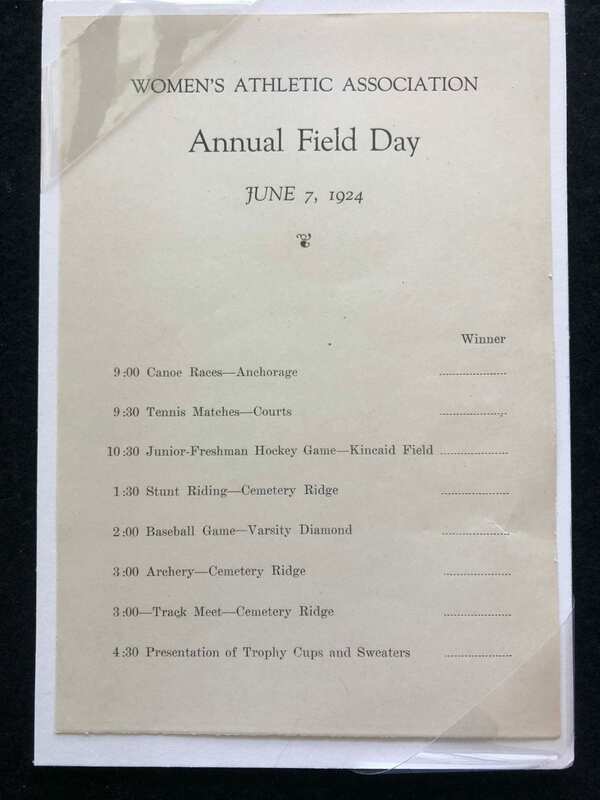 The exhibit includes two field day programs featuring track contests held on the hockey field, and on cemetery ridge. Formed in the dear old U.O. 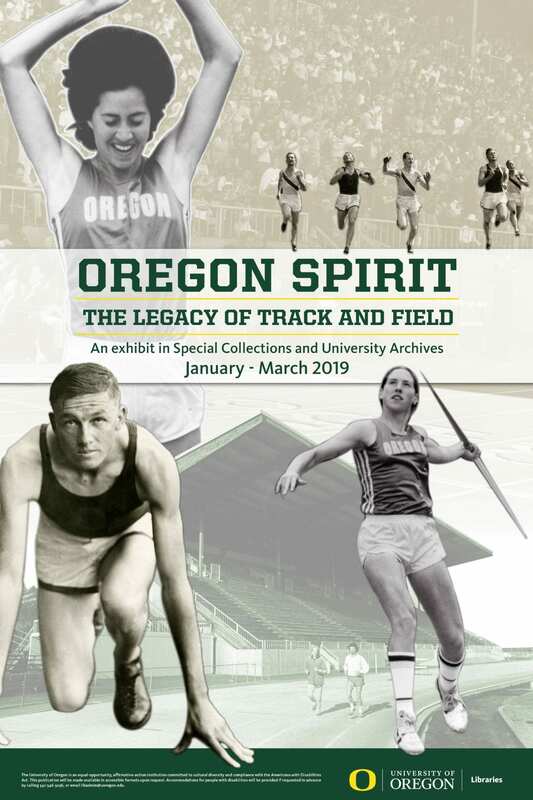 University of Oregon Libraries is pleased to announce an exhibit titled Oregon Spirit: The Legacy of Track and Field, now on display from January 7th to March 22nd in the Special Collections and University Archives Paulson Reading Room. 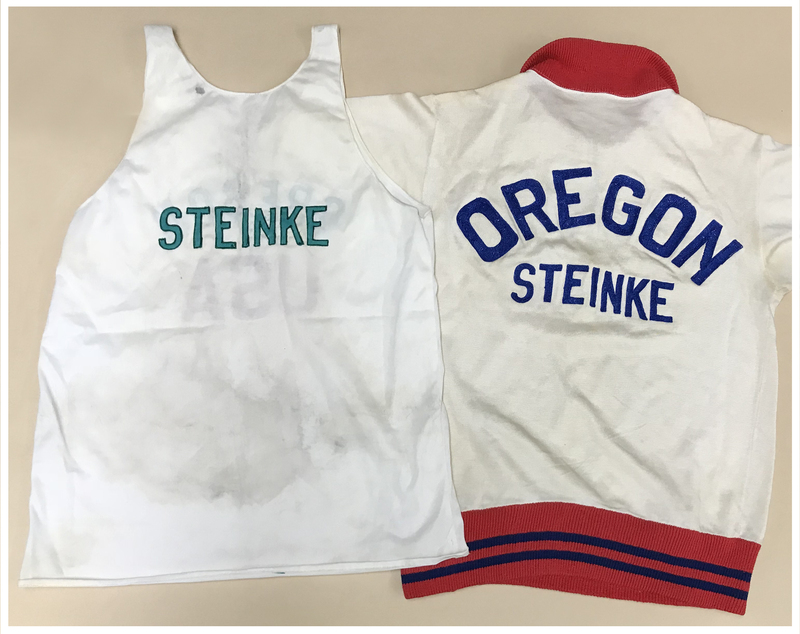 The University of Oregon proudly celebrates over 100 years of track and field. 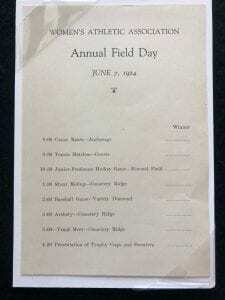 Led by illustrious coaches, student-athletes defied the limits of human performance before an audience of devoted fans. Drawing upon 20 collections, these curated items reveal a palpable spirit that transcends generations. 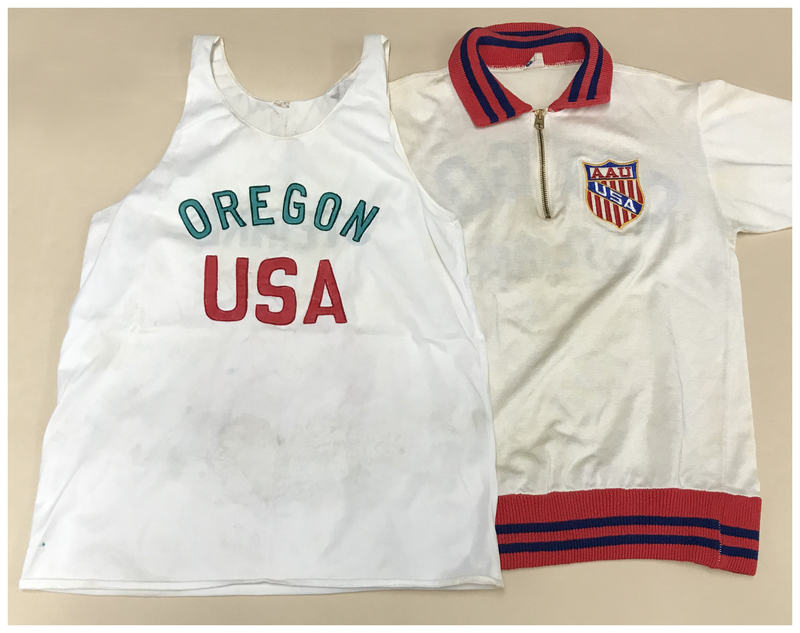 The legacy of track and field is built on enduring tradition and dynamic innovation.